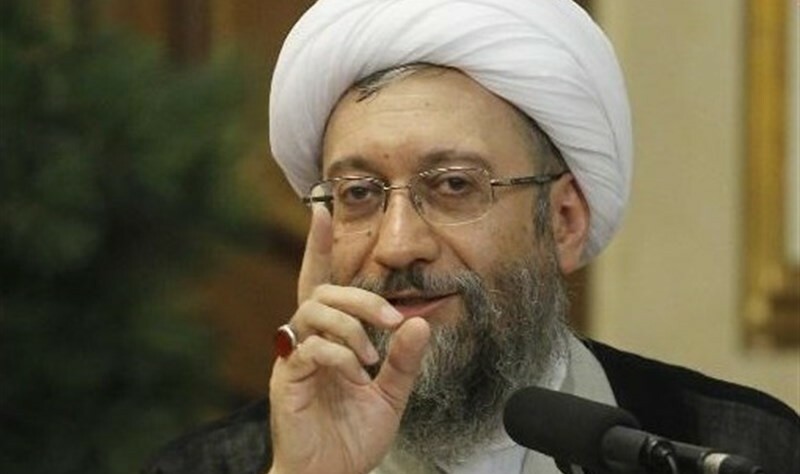 Defying both President Hassan Rouhani and widespread public criticism, Iran’s judiciary head Sadeq Larijani (pictured) has defending the police assault on a woman over the compulsory wearing of hijab. Last week, a viral video displayed “morality police” arguing with the woman and her friends about wearing the head covering properly. A female officer then strikes the woman repeatedly as her friends scream. The Government ordered an investigation, backed by Rouhani’s public call for accountability. The President’s legal advisor and several MPs criticized the female officer, who has reportedly been suspended for brutality and swearing. No one should be allowed to resist a lawful action by the police, or to insult a law enforcement officer…. The police should not take even one step back, otherwise, the society’s order, the police’s authority, and the country’s security would be compromised. It is unacceptable that some people resist the police and politicize a cultural or social matter. The judiciary head is among regime officials who have linked hijab to national security. The Supreme Leader has said that challenges over the head covering are part of a plot backed by the “enemy”. Hardline outlets such as Kayhan and the Revolutionary Guards-linked Fars said last week’s incident was “pre-planned” and “fabricated”. The issue has taken on renewed prominence since December 27, when a 31-year-old mother, Vida Movahed, stood on an electrical junction box in Enghelab (Revolution) Street in Tehran, waving her white hijab on the end of a stick. Other women soon followed across the country, despite the threat of arrest. Authorities detained 29 women, sentencing one activist to two years in prison. At least one woman was hospitalized after officers pulled her off a junction box. NextTrumpWatch, Day 460: Trump Steps Back on Withdrawal from Iran Nuclear Deal?